A few month ago, a group of British charitable organisations and think-tanks, The Ammerdown Group, has published a discussion paper on the UK’s security doctrine and strategy. Written by academics and practitioners having first-hand experience working with communities affected by conflict all over the world, Rethinking Security offers valuable insights into the present state of affairs in the field of preventing crises, responding to threats, and building peace. The paper points to a number of factors impeding a change from ‘heavily militarised’ approach towards civilian instruments of peace building, such as influence of powerful social elites and business interests on the policy-making, institutional inertia and politicisation, and preference for values associated with dominance. In conclusion, it recommends a new strategic approach where instead of interventions based on military power the UK ‘would develop non-military response capabilities, such as early resort to state and civil capacities for violence prevention, conflict transformation, diplomacy and peacemaking, as well as cooperatively devised, civilian-based violence reduction interventions’. Welcoming the publication of this well-thought-out and timely discussion paper and agreeing with the analysis findings and general direction of recommendations therein, I still have certain reservations with regards to abandoning intelligence and military altogether in favour of soft measures, such as passionately building community cohesion through shared responsibility and common action. I am convinced that the change is necessary, even imperative, but with security sector in the equation (and not only in the US and UK, but in many other countries across the globe which need more effective and more democratically controlled security forces) – a new security sector, adapted to realities of the day and capable of effectively fighting security risks that have resulted from globalisation, such as global terrorism, cyber threats, cross-border human trafficking, and organised transnational crime. Security sector in the twenty-first century faces a number of unprecedented challenges, both by their scope and complexity. One set of contributing factors relates to globalisation. The nature and pace of technological advancements, and especially the revolution called Web 2.0, have exerted enormous influence on all aspects of life. Security environment being by definition dominated by uncertainty, nowadays becomes increasingly volatile—it is multifaceted, nuanced, filled with potentially large-impact surprises, and is very dynamic and rapidly changing. This makes planning, collecting and processing intelligence, and making decisions immensely difficult. On the top of it, militant Islam has evolved over the last three-and-half decades into a kind of security threat that the world has not encountered before; it keeps evolving through the mutually reinforcing relations between its political and religious causes and economic, political and social contexts as within certain countries, so regionally and globally. By the way things are developing it is clear that at present neither states nor societies are prepared to deal effectively with such a threat. Western liberal democracies, in particular, are ill-prepared to counter modern extremism, due to certain limitations inherent to them as a governance system; moreover, they are showing reluctance to reform the established practices and procedures and to introduce more flexibility into security policy making. Societies, in turn, are undergoing a painful generational process which is characterised by declining trust towards governments but also deepening divisions between various social, cultural and religious communities. There have been various explanations offered in the literature, to democratic governments’ weakness in handling security sector issues. Four features of the present day decision making, which relate to the national security policy, deserve a close look. First is the sensitivity of issues dealt with by intelligence. Second feature is the urgency of the action required by citizens, from the state. These correlate and I will consider them in tandem, under the ‘pressing circumstances’ below. The third feature is an inherently political nature of the policy making, which in the case of security policy turns to be quite problematic (briefly addressed under the ‘political constraints’). And the fourth is the policy’s reactive rather than proactive positioning against the extremists, especially with regards to their very aggressive propaganda campaign (under ‘communication: a reactive stance’). It is well known that in a daily life some people are ready to pay more for a quick gain instead of waiting a bit for getting it at a nominal cost. However, things change when we as individuals, communities, society feel endangered. If there is a perceived threat to our lives and well-being or that of our beloved ones, we react sharply and our immediate gratification mood spirals with an enormous magnitude. At this moment of collective anxiety we are ready to overpay significantly (actually, no one even thinks about costs) and tend to put a massive pressure on the decision makers to act promptly and effectively. The state’s reaction to public pressure in the aftermath of the Paris terrorist attacks in November 2015 can serve as a textbook case: Initial shock gave place to the public outrage, then intensive media reporting took off and this followed by a panic that we were the next target of militant Islamists—all in all, for the officials finding themselves under huge pressure to make last minute amendments to the Strategic Defence and Intelligence Review, pledging significant additional human, technological and financial resources committed to the security strategy (additional investment of £2.5 billion and employment of 1,900 more staff) and then to hastily pass a decision on joining the airstrikes of the ISIL’s targets in Syria. In this case, the Government’s actions did not seem rational but rather emotionally charged, under the intensity of public outrage. Such decisions tend to result in immediate gains at the expense of long-term priorities. They are also costly. A few days after the publication of the Defence Review and the reports on first airstrikes by RAF planes in Syria, there was no panic anymore. No one thought about the cost of the response. Obviously, those funds will be taken from some other budgetary items, if not borrowed, and the society will bear the cost of it in the years to come. Key features of intelligence, such as fragmented knowledge and lack of timely and complete information, as well as difficulty gauging the progress make decision making in security sector notoriously complicated. The uncertainty of the environment where security policy operates partly explains one known weakness of democratic governments—that is, their indecisiveness in taking difficult decisions, also known as the ‘lack of political will’ to act on complex and sensitive problems. At the same time, there are situations when governments tend to act on security issues swiftly and with minimal hesitation. At least two political factors can be distinguished as contributing to this phenomenon. Decision making in democracies is in many ways defined by electoral cycle, what limits politicians to implementing only those policies that can produce visible results in short time. Taking bold decisions is always difficult, as the cost of risk taking might be prohibitive, and hence, the time must be ripe. For example, the decision to launch the military campaign against al-Qaeda and their hosts, the Taliban regime in Afghanistan, was only possible because of conducive environment created by September 2001 terrorist attacks in New York and the declaration of the ‘war on terror’. Similarly, the UK Government’s decision to join airstrikes in Syria was long on the agenda of the Prime Minister, but got the real chance to pass through the Parliament (without damaging his and the Conservative party’s image by the humiliation of possible defeat) in the aftermath of the Paris attacks, when the emotional tension was high and thus, conditions were favourable to overcome the opposition. By its nature the policy making inevitably brings about change which affects the interests of various stakeholders. In foreign, defence and security policy domain, along with domestic interest groups (such as government ministries and agencies, and state and private contractors and providers of products and services) there are international (governmental, inter-governmental, international public and private) actors who have vested interests in the government taking this or another course of action under external obligations. Government ministries/agencies elsewhere are constantly competing for funding, in a bid driven by the consideration of the scope and quality of work and, partly, by their political ambition to grow strong and exert more influence. For example, the Government’s reaction to Paris attacks, along with airstrikes, resulted in significant additional public funds pledged by the Prime Minister. This being a precedent, right after the terrorist attacks in Jakarta in January 2016, Scotland Yard went ahead announcing quite considerable increase in the number of trained marksmen (by more than 27 percent) in a move that cost £2.5 million of taxpayers’ money. On the other hand, international allies put additional pressure on decision makers, either supporting or discouraging them, and not necessarily in the best interest of the nation but rather for the sake of the common good (NATO and European Union related policies stand as an example). Today, Syria and Iraq are not merely a battlefield where the war with ISIL, al-Qaeda, and other militants is fought. It is also the place where local actors (national governments vs. diverse opposition groups in Syria and Sunni tribes and former Ba’athists in Iraq), backed on either side by key regional players (Saudi Arabia vs. Iran) and global powers (US and allies vs. Russia)—all collide in their contest over exerting larger influence in the Middle East theatre, in a dramatic, complicated geopolitical stand-off. Therefore, statements by some British pundits and politicians in justifying the airstrikes, that ‘we must show our solidarity with France’ or ‘we must go out there and prevent this threat from coming and hitting us next’ sound at the very least as naive (or misleading). Britain must join the fight because, first, that is what her allies demand of her; and two, that is the place to be, if you want to be regarded as an influential global player. In their turn, the policy makers attempt at putting political pressure, or unduly intervening, in the intelligence process (which is there to provide an impartial specialist advice in support of the policy making). This politicisation of intelligence may take various forms, from ‘soft’ framing to ‘hard’ manipulation of evidence and/or simply imposition of pre-formulated constructs, disregarding the intelligence advice. To these I would add another type, when policy makers simply reject the intelligence offered to them and rely on other information or their own reasoning. Given the degree of secrecy in decision making on the national security issues, we never actually know for sure how certain decisions were made and which type of politicisation was applied (if any at all). The Government counter-terrorism strategy’s protective function is implemented by specialised forces quite effectively: the fact that there has been no successful attack by militant Islamists on the British soil in more than ten years stands as a proof. However, the responsive stance taken by the state enables militants dictate the pace, location and even the format of engagement. It is obvious when it comes to the terrorist propaganda: the state, the society, and the media are not doing well in countering it as could have been expected. This gives the Islamist extremists a possibility to manipulate individual perceptions and public opinion, media coverage, and eventually the decision making. Aggressive propaganda undertaken by militants, first of all, targets the young Muslims and serves to justify violence. Traditional themes exploited are jihad (interpreted strictly as ‘just war’) and the protection of the Muslim lands from ‘infidel’ invaders. Their interpretation allows for preemptive attacks and killing civilians—to silence the critics among the Muslim community, of the methods they use. The propaganda also aims at glorification of the images of Islamist fighters (take, for example, Mohammed Emwazi aka ‘Jihadi John’), to promote the case of martyrdom and afterlife heaven. As for non-Muslims, through various video footages, particularly those with execution of hostages, militants intend at inflicting mayhem, so that to put additional pressure and diminish the resistance of targeted states/societies. You have already noticed that I used the case of the British Government’s hastily taking decision on amending the strategy and joining the airstrikes over Syria, under different thematic parts of this post. In one part, the decisions are explained by the desire to calm down the public anxiety (‘availability cascade’), in another it suggests that the decisions might be the result of political maneuvering of the Prime Minister, or the successful lobbying of political elites and military and intelligence agencies. It is also implied that this might have been the result of pressures from the allies, in the geopolitical struggle over the Middle East. All these explanations seem equally plausible, and I believe that more than one (if not all, to various degree though) have contributed to the decision in question. Think about it. And think about other similar instances (in any country) and their consequences. I will try to elaborate in the future posts, too. Especially from the point of what could be done to minimize the politicisation of intelligence and to increase the transparency and accountability in the defence and security policy domain. 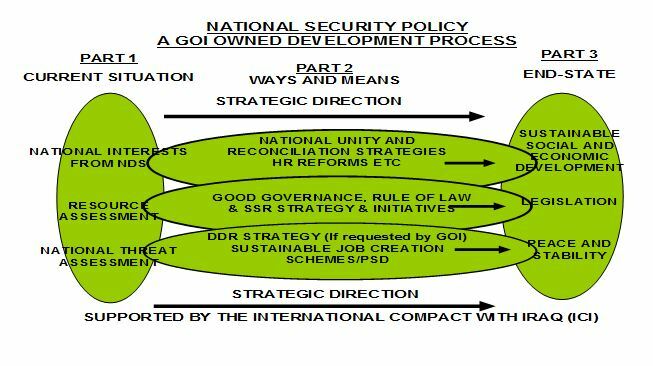 This entry was posted in Building Security and Justice after Conflict, Security Sector Reform and tagged governance, National Security Policy, politicisation, security, Security Sector Reform, strategy on September 27, 2016 by PolicyLabs. Security in Africa: perspectives for 2016! The past year, had its “crop” of crises and victims on the African continent. The security balance sheet of year 2015 is thus mitigated enough. If we trust the 2015 Global Peace Index (GPI), published by Institute for Economics and Peace, insecurity globally stagnated from a point of view of its intensity. According to the GPI, we count among the most secure countries : Ghana, Botswana, Malawi, Sierra Leone, Senegal, Tanzania and Gabon. It should be noted, that Cote d’Ivoire and Guinea-Bissau, demonstrated the most remarkable national security level improvements. On the other hand, we notice among the “bad pupils” : South Sudan, CAR, Somalia, DRC, Nigeria, Chad, Cameroon, Mali, South Africa and Burundi. Several factors allow to estimate the level of safety on the continent. The threats are multiple and strike the African countries in diverse ways and with a relative intensity. Terrorism remains the major threat affecting countries as Cameroon, Chad, Nigeria and Mali. Politico-military crises (political instability) also affects countries such as Burundi, DRC, South Sudan and CAR. A high level of criminality also strikes Nigeria, Somalia, Zimbabwe, Angola and Libya. The small weapons illicit traffic affects all the regions of the continent, given the conflicts which occurred there and which continue (Libya, Mali, CAR, etc.). Maritime piracy, also continues to weaken exchanges in the African waters, especially in the Gulf of Guinea and Gulf of Aden (Somalia, etc.). Finally, the questions of the security sector governance, remain a concern, because the security systems of several African states, are failing and require in-depth reforms. We do not pretend, to cover all the issues which threaten those states, but this brief assessment allows us to realize the urgency, to take into account very quickly all these challenges by building a strong security sector governance and reinforcing the regional and international cooperation. In 2015, we made a few recommendations based on a 2014 security assessment in Africa. Today, it seems crucial to assess if those recommendations have been carried out and if so, how effective they have been? 1/ With regard to the issue of political violence and political crises generally, it should be noted, that several elections were positively conducted on the continent in 2015. Ivory Coast moreover surprised the international community by its political maturity. On the other hand, countries as Burkina Faso which finally held calmed elections at the end of the year, endured military coups, bringing disorder. The Year 2016 will be too, rich in presidential elections in particular in Gabon, DRC, Chad, Equatorial Guinea, Rwanda and Benin. The conditions around some of these elections remain shady and conflicting. We thus recommend, in order to prevent pre-electoral, electoral and post-election tensions, the following : a) the signature of a charter of acceptance of democratic alternation by all political parties, to reiterate their respect for the democratic game; b) the signature of a charter of inviolability of the constitution by all political actors, to avoid any unconstitutional violence; c) the UN and AU support in the follow-up of the pre-electoral and electoral process by the installation of surveillance missions. These missions could include nationals of countries which had successful elections in 2015, such as Ivory Coast, Guinea and Burkina Faso; d) a strong mobilization of the civil society following the example of the ” Balai Citoyen” in Burkina Faso. Indeed, citizen mobilization so as to ensure transparent and democratic elections is more than necessary in Africa. Citizen watch has to express itself in the respect for the law and be taken into account by national leaders. 2/ Concerning the fight against terrorism, the continent mobilized militarily speaking. Indeed, several initiatives were taken or are in the course of execution, both at the coordination and operational levels, in particular the creation of a multinational mixed force ( 8700 men) by the Lake Chad Basin Commission and the G5 Sahel which organizes the installation of a joint integrated general staff. In a pragmatic way, all the current initiatives are essentially military, in regard to regional cooperation or combat equipment assistance or intelligence support or still in terms of capacity building of the African armies by the western armies. The civil dimensions of this merciless fight against terror spread by the Islamic State, Boko Haram, el Shabbab or Aqmi, remains neglected. Thus we recommend for 2016 the following measures: a) a regional and national mobilization for the implementation of sensitization and awareness politics, towards populations to thwart the psychological warfare engaged by these terrorist groups; b) the actual setting up at the national level, of watch groups in all the communities, to alert the authorities in case of threats; c) the increase of the Human Development Index (HDI), in every African country to break the link “ignorance-poverty-terrorism”; d) a greater commitment of the Muslim communities, in the fight against terror, by creating watch committees in order to foster awareness and sensitization; e) the effective creation of elite units specialized in counter terrorism, would be a main advantage; f) the formulation and implementation of national policies aimed at preventing and repressing any religious radicalisation! 3/ Concerning the post-crisis tensions which affect few countries, such as Burkina Faso, we suggest the following : a) the pursuit of any Security Sector Reforms (SSR) national program, in countries such as Mali and Ivory Coast. The formulation and implementation of a SSR national policy in countries as Burkina Faso, enduring a paralysis of its security systems is necessary. The SSR must be regularly monitored, by an independent mechanism, to ensure its coherence and its efficiency; b) the institution of viable mechanisms of human development, allowing to fight against the impoverishment of the African societies and so to reduce their vulnerability; c) the acceptance of the rules of good governance is critical for these countries, which in a context of recovery also have to create a mechanism in charge of promoting on one hand, integrity, transparency, ethics and accountability and on the other hand, sanctioning any breach in these principles. 4/ Regarding training and capacity building, the creation of civilian think tanks dedicated to strategic thinking, is on the agenda more than ever. Indeed, reflection remains the heart of anticipation and prevention. Several centres or institutes already exist regarding security on the continent in particular, The Institute for Security Studies (ISS, South Africa), the Moroccan Centre of Strategic Studies (CMES, Morocco) or still the Kofi Annan International Peacekeeping Training Centre (KAIPTC, Ghana) and the Institute for Strategic Studies and Defence (IESD, Ivory Coast). The interaction between these centres and states, is critical to enrich research on the highly strategic matters. However, it is crucial that these centres are not just the consequence of a trend. Indeed, the example of the IESD is edifying, because since the launch of its activities in June, 2015, no activity was organized. Worse, the IESD does not have a management team, no recruitment was made, it has no headquarters and no training program. It is almost an empty shell. 5/ Finally, with regard to borders control, the African states are more than ever vulnerable, because having excessively permeable borders. Indeed, this porosity favors the traffics of every type from drug trafficking, to human trafficking. It is time for the African countries to consider borders control as an absolute priority. Sound national borders control policies must be formulated and implemented. The cross-border cooperation owes, too to be reconsidered and improved in particular in the monitoring of migration flows! Moreover, a better control of the borders contributes widely to the fight against several plagues of which terrorism. So as to conclude, we have in a few words, covered critical issues to be addressed in 2016. It is up to African states, to welcome the strategic reflection with open arms, in order to enrich the existing state capacities. Besides it is urgent that the resolutions stemming from various meetings on security held in 2014 and 2015 (Dakar Forum , Tana Forum, etc. ), see a beginning of implementation. To finish, the task can seem extremely difficult, however to reflect Antonio Gramsci’s famous quote, ” even if we are pessimists because of intelligence, we have to be optimists because of will “. This entry was posted in Africa and tagged cote d ivoire, defence, development, governance, ivory coast, National Security Policy, political crisis, post-crisis, security, stabilization, strategy, terrorism, terrorist movement on January 5, 2016 by jfcurtis. This short paper aims to share few thoughts on governance issues in the security and defence sector based on my personal assessment of cote d’Ivoire. Transparency International published an outstanding index in 2013 (GI2013) by assessing corruption risks in the defence sector. The topics (themes) that I cover below, all come from that Index. One can easily apply the guidelines to any country and adapt them to the national reality. There is a formal provision for effective and independent legislative scrutiny of defence policy in Cote d’Ivoire (article 71 of constitution). However, in practice, that provision is insufficient because the national Defence Policy formulation process itself is not mentioned in the constitution as being part of the National Assembly (NA) mandate for scrutiny. Indeed, Article 71 of the constitution stipulates that only “Military Personnel status”, “the Police status” and “Defence organization” are all subjected to the national assembly inputs. This is largely unsatisfactory and limits the action of the National Assembly. The budget issue is also mentioned in that article 71, so it is the responsibility of the NA to vote the national defence budget before it is implemented. There is to this date no evidence of such vote for the past 4 years. At last, despite the fact that the legislative scrutiny is referred to in the constitution, the influence of the NA on the defence policy formulation has always been very limited if not ineffective. So as a general recommendation, legislative scrutiny over defence and security policies in any country is necessary and clearly proves a good level of transparency. Unfortunately, in cote d’Ivoire, the national defence policy is not debated and publicly available. One major reason for that is the opacity surrounding this issue. Moreover, a national security strategy has been adopted by the National council for Security (CNS). Unless this security policy is adopted by the national assembly, it will not be publicly available. Therefore, one must admit that efforts have been made to bring issues related to national defence to the public. The security sector reform is bringing the authorities to formally formulate a national defence policy which is inclusive and holistic. For instance, the national SSR strategy is available publicly and has been debated openly (all SSR actors participated) before being adopted. On the other hand, a public consultation (survey) has not been done to this end. At last, the national assembly has not yet examined and passed the Law related to the National Security and defence Policy. This is due to the fact that this policy has not been made available to the national assembly. As a general rule for a country to prove a certain level of transparency and good governance, it is critical to involve the public in the formulation of any defence or security policy through a public consultation (survey). Cote d’Ivoire has an openly stated general anti-corruption policy. Indeed, “the national plan for good governance and against corruption” and “the order N° 202013-660 of September 20th of 2013 about prevention and fight against corruption” are the main anti-corruption instruments. They also apply to the military forces and the police. However there is no openly stated and actively implemented anti-corruption policy towards the defence sector exclusively. “The military code “ does not specifically address corruption issues that might concern the soldier. In 2013, the Ministry of Defence initiated an Ethical Charter and a military code of conduct. To this day there is no evidence of any of those two initiatives to be effectively adopted by the national assembly or any other institution. Nor are they publicly available. To this date the ministry of defence has arrested many soldiers involved in racketeering, extortion and fraud. Still efforts have to be made to implement the rules equally among soldiers involved in such crimes. So in order to be effective, an anti-corruption policy must be clearly stated and strongly implemented. Whistleblowing as a mean to fight corruption is more and more encouraged by the government. There is a law that protects whistleblowers from any type of threat (Order N°202013-660, chapter 3). This law applies to any citizen whether he belongs to the defence or the security ministries. It is almost impossible to say whether this law offering protection is working in practice because security must prevail for any whitleblower. However, the chapter dedicated to this matter exists. The law has to be applied. Besides, the lack of trust among military personnel prevents any whistleblowing activity. Whistleblowing as a mean to fight corruption in the security forces is a effective way provided there are clear guidelines and that allegations are not made on a subjective basis. The military personnel are unfortunately not subjected to an independent, transparent and objective appointment system in cote d’Ivoire. Nepotism and tribalism have for the past 3 years harmed the whole selection process for appointments in the military. Indeed, there is a committee in charge of appointments within the military but this committee lacks independence and transparency. Most of the time appointments will be made accordingly to political orders coming from above. Since the end of the crisis in 2011, tribal biased appointments have been denounced by international NGOs such as International Crisis Group and Amnesty International. Regarding promotions, theoretically, military personnel are promoted through an objective and meritocratic process. Besides, within the defence and security institutions can be found specific committees in charge of assessing potential candidates for promotion, in conformity with the law and internal rules. However, political consideration and favoritism sometimes weaken the process. In many cases external institutions influence decisions made by those committees. So there is no independent oversight on this matter. Appointment and promotion are key matters when it comes to governance in the defence and security sectors. So they both have to be tackled very seriously.Objectivity and merit must prevail in the decisions made. Moreover, mechanisms created to manage appointments and promotions must be independent. In cote d’Ivoire, most of the defence purchases made do not derive from any coherent assessment mechanism. So there are no clearly identified and quantified requirements. For some specific security situations, needs are identified and purchases made. So it is more opportunistic than thoroughly planned. For instance the latest purchase of surveillance and war vessels in 2014, does not comply with the national security strategy or any other policy document. However these maritime acquisitions derive from the need to counter maritime piracy and to show neighbors the maritime capacity of cote d’ivoire in case of dispute or crisis. Coherence and conformity must prevail when it comes to defence or security purchases because requirements exist within security and defence policies and acquisition laws and must be implemented as planned. This entry was posted in Uncategorized and tagged corruption, cote d ivoire, governance, ivory coast, National Security Policy, oversight on July 23, 2014 by jfcurtis. Attached is the document containing the conceptual diagram of National Security Policy (NSP) that was designed by Panel Member Philip Wilkinson and senior civil servants in the NSC to help busy ministers in Afghanistan and Iraq understand the comprehensive and interactive nature of NSP (copied below – please click on the image or see the document for a better quality image). This comprehensive and interactive aspect of the concept impresses me in particular, and underscores the importance of recognising the interdependencies of security/defence, development and governance/diplomacy. Thank you very much for sharing this, Philip, and if you are able to comment further or if others would like to comment, that would be great. This entry was posted in Uncategorized and tagged National Security Policy on October 18, 2013 by uolscid.